LOVE BEING A NONNY! : Christmas Card Carousel 2013 and an ANNOUNCEMENT! Christmas Card Carousel 2013 and an ANNOUNCEMENT! Joining Faith at her 6th Annual Christmas Card Carousel!!! My love of Christmas cards borders ridiculous. Going to the mailbox in December is one of my greatest joys! I love hearing from people I have known over the years! I have a dear friend in another city who designs my cards. She is so talented and I love her work! Here is our card this year! And to think, we will have ANOTHER grand next year! Yes, grand #9 is due in May! We are so excited and can't wait to find out who he/she is! Oh my goodness!!! This is SO cute. I'm dying over their adorable outfits and I love the card design as well. And, a big congrats on your exciting news! What a precious card! 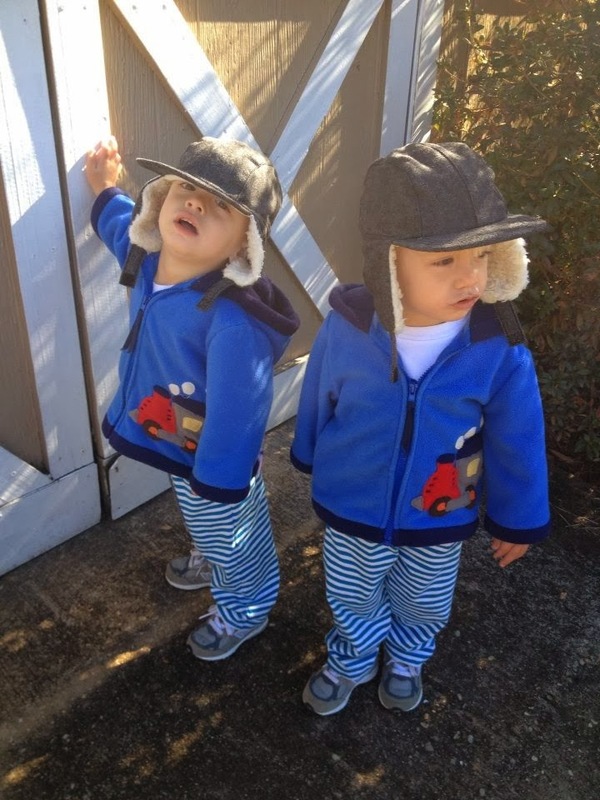 Your grandkids are oh so cute! Have a Merry Christmas! Oh My goodness!!! I absolutely have a big ole smile on my face. This is one of the cutest cards. Congrats on the grandbaby! Merry Christmas. Your grandchildren are adorable!!! What a sweet design as well! What an adorable card! Your grandkids are precious and congrats on the newest one on the way! Such adorable outfits and such a cute card! Thanks for sharing! Your cards are too cute! 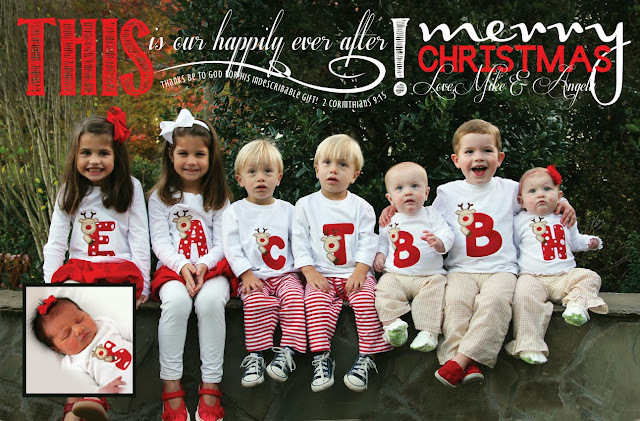 All those kids are adorable & that verse is perfect for the card. Congrats on #9--wow a whole baseball team! Oh my gossshhh....this is absolutely adorable!!! What cute children they are and look at those outfits!!! Precious. Love it!!! That's one of the cutest Christmas cards I've ever seen. The children are adorable, the outfits are darling, and I love the verse. I've been looking at your blog for a couple of years but never commented. I couldn't stay quiet any longer. Merry Christmas! That card is just darling! Congratulations on the news! More blessings! Merry Christmas, from this Nonnie to the other Nonny! Oh my goodness, that is the cutest! And congrats! I am the same way, I rush to the mailbox every day after work in anticipation! So fun! Found you thru the link up! :o) Merry Christmas! Oh my gosh, adorable! And congrats! I'm the same way during the month of December, I love getting Christmas cards! Found you thru the link up! :o) Merry Christmas! I just love this! Such an adorable card! These Are My People Y'all! i THOUGHT i loved a crying santa picture…….